Are you looking forward to enjoying a classic and a traditional fruit machine? 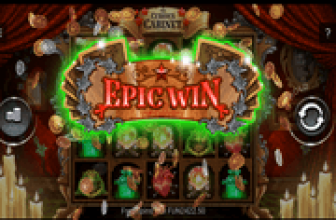 If the answer is yes, then you have certainly came to the right place, as this 1×2 Gaming powered game, Classic Fruit, will offer you just that, a classic fruit machine that has the traditional setup of 3 reels, and of course, many classic symbols will appear spinning the reels of the game. Although the game only has 3 reels, and classic symbols, but it does not mean that it is not really rewarding as these classic fruit symbols have a lot to offer to players in term of prizes. So give the game a spin here, and you will not regret it. 1×2 Gaming has chosen a very convenient title for this game, Classic Fruit. 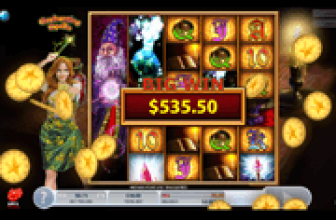 This is because the game offers players a classic 3 reeled slot gaming experience that has a classic theme, which is about fruits. This explains the fruit symbols and the other traditional icons that will land on the reels of the game. The game’s 3 reels host 5 paylines and players will be able to view the location of these bet lines across the reels by simply hovering the mouse over the numbers that are on the left side of the reels. As for the payouts, they can be viewed by clicking on the Paytable button under the reels. Placing the bets is pretty easy, as players will choose how many of the 5 lines they want to place bets on, the number of coin on each of these lines (1 to 5) and the value of these coins (between 0.01 and 1). Players will then click on spin, or to avoid all of that, they can just click on Max Bet to place the biggest bet at the game. 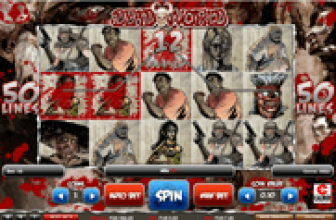 Despite being a 3 reeled game, it also comes with the Auto Bet function to make it easier for players to spin the reels of the game. The game has classic visuals and this is why the symbols that would appear on the reels are all inspired by classic slots and fruit machines such as golden bells, lemons, watermelons, oranges, cherries, sevens, apples and bar symbols. Classic Fruit is a pretty classic and a traditional 1x2 Gaming powered game that has 3 reels, 5 lines and the classic fruit theme of land based slots. Give it a spin here for free and as they say, old is gold.